Available in 5 sizes, 165mm, 180mm, 200mm, 215mm and 235mm high in a classic bronze finish with gold and silver detail. The first 2 sizes are on a marble base and the 3 larger sizes are mounted onto a weighted plastic base. 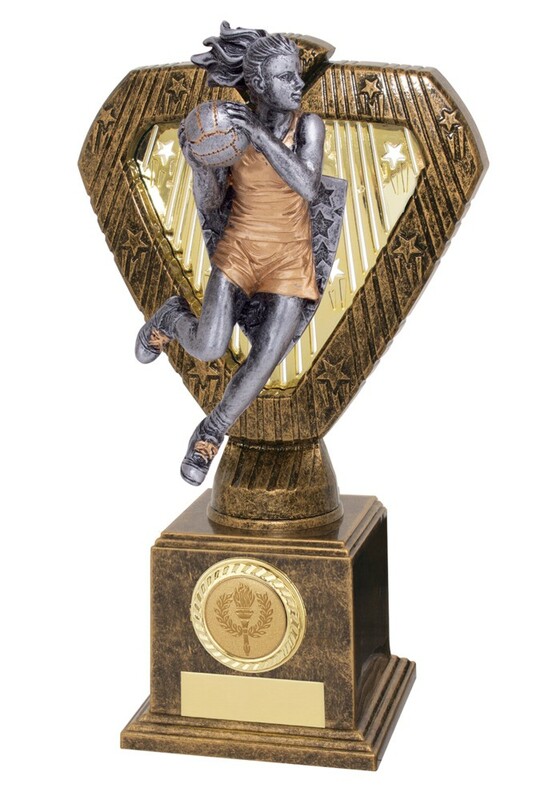 A great value netball trophy.